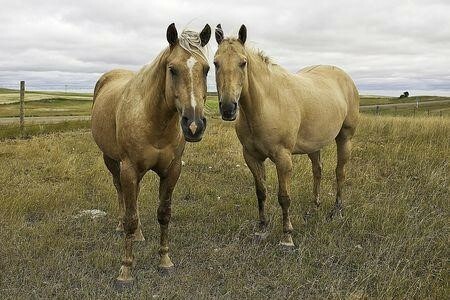 There are many breeds of horses in the United States. Their origins date back in the 1660s as a cross between English horses, imports to Virginia from around 1610 and native horses of Spanish origin whose usage was essential to the early colonists. In the late 17th century, the horses had races over quarter-mile courses in Virginia and Rhode Island, thus the name quarter horses. Christopher Mansfield, head of academic writers at PerfectEssay said, “The American Quarter Horse breed has become the most famous horse breed in North America.” There are over five million registrations of American Quarter Horses all over the world with the American Quarter Horse Association (AQHA) as the prevalent breed registry. Its fame and attractiveness come from its numerous constructive features. They include; adaptability, dexterity, reliability, speed, docility, and beauty. Many beginners and professionals respect this horse breed as they can star in the show ring or the trail. According to PerfectEssay, below are some of the American Quarter Horse facts you need to know. Before we delve into the American Quarter Horses history and origins, you first need to understand what a quarter horse is. So, what is a quarter horse? A quarter horse is a horse breed popular in North America for its speed and agility in quarter-mile races. As aforementioned, the American Quarter Horse, the most popular breed in North America descends from the English and Spanish horses whose usage was of the essence to the American colonists. The quarter-mile races took place in Rhode Island and Virginia. The American Quarter Horse has good grace and perfect footedness thus making it the favorite horse breed for many settlers. Later on, the American Quarter Horse had a significant contribution to the westward expansion of the American frontier. The horse breed’s suppleness and fortitude not only makes it invaluable to farmers, cowboys, and pioneers but also people who rely on it for transport in harsh terrains. The Quarter Horse breed is a mixture of Spanish, Arabian, and English horse breeds. You can also refer to them as warmbloods as their lineage comprises a bit of draft horse. Even though the breed’s existence dates back in the 1600s, the American Quarter Horse Association was not into establishment up until 1940. Additionally, there are eleven foundation Quarter Horse bloodlines who are ancestors to all Quarter Horses worldwide. With the introduction of Thoroughbred bloodlines, there has been a creation of compact reining natures and a ganglier adjunct or appendix within the breed. American Quarter Horses have unique and outstanding body structures. They have fine chisel heads, broad foreheads, medium bones, flat profiles, and sturdy but less abrasive legs. Additionally, they have weighty and powerful shoulders and haunches. The infusion of Thoroughbred bloodlines has had a vast impact on the look and disposition or nature of some Quarter Horses. For instance, the Foundation Quarter Horses have different breeding which makes them stay accurate to the original quarter horse type that is, for cattle work usage on the open range. Quarter Horses come in different sizes which range from between 14.3HH to 15.3HH. And, with the introduction of Thoroughbred bloodlines, there is a significant increase in the Quarter Horse height. Appendix Quarter Horses stand up to 16HH of which more are unusual now. Horses which weigh 1200 pounds or more are common in this large and sturdy breed. Hence, this prompts skeletal strain concerns in some groups over the weight to frame ratio of these horse breeds. Quarter horses have exclusive and exceptional versatile characteristics which make ideal and fit for use on the farm and trail as a family, show horse, and working. Back then, Quarter Horses had prominent cow sense thus making them popular working cow horses. Today, their abilities thrive in rodeo occasions such as team penning, cutting, reining, and speed games among others. Additionally, their muscular haunches aid in fast departs or set-offs to collect strays from cattle herds and push or thrust them in a hasty and yet dexterous manner in barrel races. Quarter Horse racing is one of the most exhilarating and nerve-wracking sports with tracks across North America. Unlike the Thoroughbred races which are familiar, Quarter Horse racing involves more sprinting. There have been records of over 50 miles per hour during these short and intense Quarter Horse races. These horses have sturdy or strong temperaments whether in the harness or under saddle. Hence, this makes them ideal and perfect beginner and family horses. Quarter Horses have unique and exceptional characteristics which distinguish them from other breeds of horses. They have a compact and powerful silhouette foundation. As aforementioned they have fine chisel heads, wide foreheads, medium bones, flat profiles, sturdy but less abrasive legs, and weighty and powerful shoulders and haunches. Besides, their appearance emanates or exhibits their forte and steadiness which make it the perfect choice for numerous situations. Also, they have sure-footedness and agility despite racing at great speeds over petite distances. Quarter Horses also have a cow sense feature. That is, they have a natural and innate skill to work with cows. Hence, this inherent nature, as well as their underlying acumen, helps make them easy to train. In conclusion, the American Quarter Horse is North America’s most popular horse breed. Not only does its origin date back to the 1600s but it also has unique and exclusive attributes. American Quarter Horses have adaptability, dexterity, reliability, speed, docility, and beauty features which enhance their popularity. Additionally, they have perfect body structures which help in their races and other uses. They have fine chisel heads, wide foreheads, medium bones, flat profiles, weighty and powerful shoulders and haunches, and sturdy but less abrasive legs. Quarter Horses also come in different sizes. The Quarter Horse size ranges from 14.3HH to 15.3HH. It is hence making the average weight of a quarter horse to be 14.8HH. And, with the introduction of Thoroughbred bloodlines, there is a major height increase in Quarter Horses. The above information on quarter horses makes it the ideal and perfect choice of breed for starting riders and families. Not only do they have steady dispositions but also underlying astuteness which makes them easy to train. They also have an intuitive nature which makes them the best choice for competitions such as cutting or roping and ranch work. Quarter Horses are also perfect for recreational purposes. However, they need guidance from beginners after training. This, hence, helps them to become easy keepers which flouring or bloom on hay or good pasture.